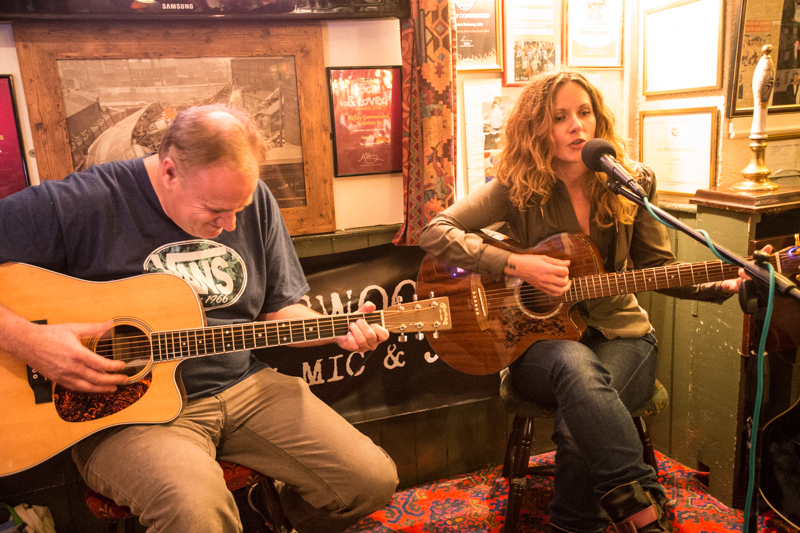 Every Tuesday, at the Lion Brewery in Ash, Surrey is the now legendary "unplugthewood" acoustic Open mic & Jam. It's hosted by Mike Krabbers and his wife, Caroline, who together make the Hedge Inspectors. It starts just after 8pm, and starts with a jam session, open to anyone with an acoustic instrument. "If you can get it through the door, you can play it" is Mike's maxim. This goes on for about an hour, then there's an open mic session. All comers get the chance to take the stage and perform on the open mic. It's a great opportunity to improve, beat your nerves and show what you can do. 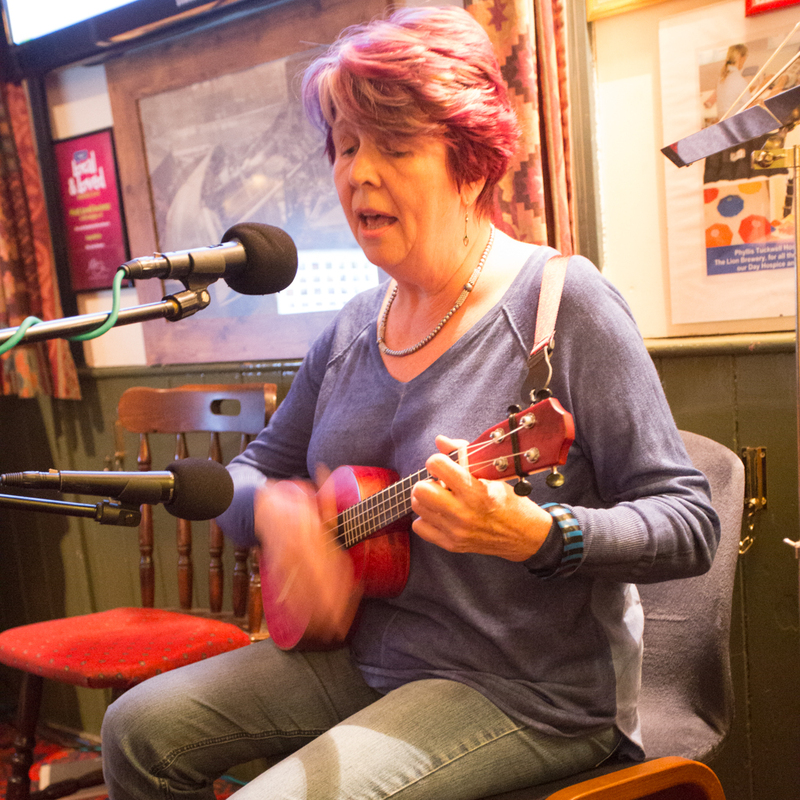 Everyone is very encouraging, beginners through to professionals have performed at the open mic - including some big names, too - for example: Mike Hind, Ben Rouse, Professor 'Eek', Robin and of course Krabbers and myself! 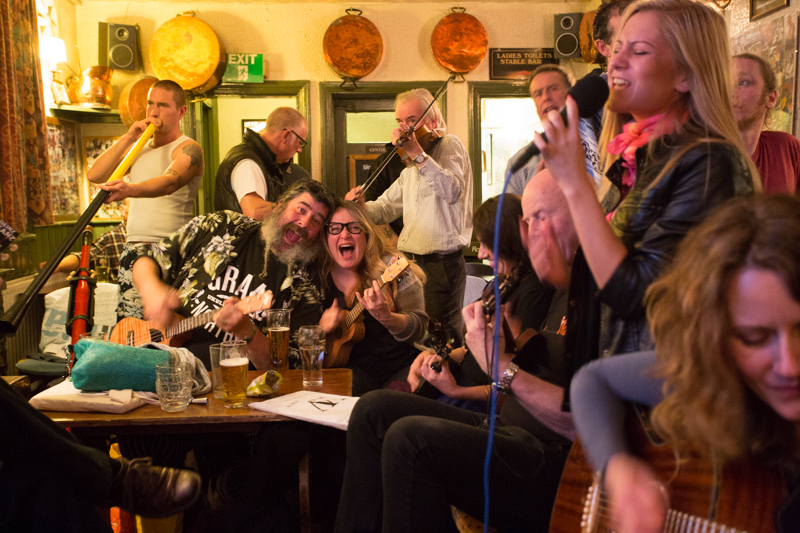 After the open mic, there's time to jam until the pub closes. Songs go up on a big screen, so there's no messing around with song books and bits of paper. If there's a complicated chord or riff, Mike will demo it before everyone plays, so it's a great way to learn and get experience, too. All sorts of instruments turn up, ukuleles and guitars of course, but also violins, flutes, banjos, melodions, saxophones, cajons and even didgeridoos. 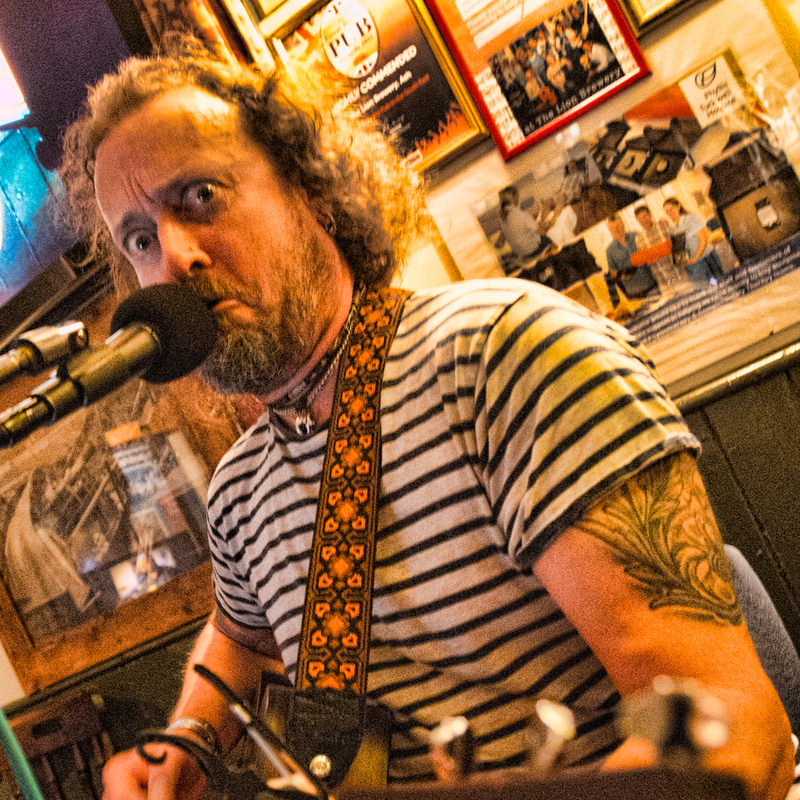 Mike also puts up tutorials on Youtube, and there's even a podcast, now effectively giving a virtual open mic to artists from far and wide, although regular performers at unplugthewood have also appeared on the podcast, too. If you want to get an idea of what goes on, please take a look at the video here, and don't forget to visit www.unplugthewood.com, too. An introduction to what unplugthewood is. Shame is, no cats here. Although Tillie wouldn't mind going of course.